The FBI has monitored 20-year-old Christopher Lee Cornell for months because of troubling posts he made on social media about violent jihad. 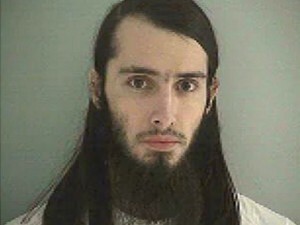 Then agents swept in Wednesday, arresting him in Cincinnati on allegations that he was about to hatch a horrifying attack at the U.S. Capitol, detonating pipe bombs and then shooting the lawmakers as they scurried, CNN reports. Authorities said he planned to have a partner and bought two M-15 rifles with 600 rounds of ammunition. But the man he thought was his partner was actually an FBI informant. Agents arrested Cornell after he bought the weapons. Posted: 1/15/15 at 9:35 AM under News Story.